Observing this need in his own parish, J.C. Ryle prepared his Expository Thoughts on the Gospels which have enriched the earth for more than a century with undiminished popularity and usefulness. Ryle's 'plain and pointed' words are a great stimulus to the reading of the Bible itself. While his chief aim is to help the reader to know Christ he also has another object in view. 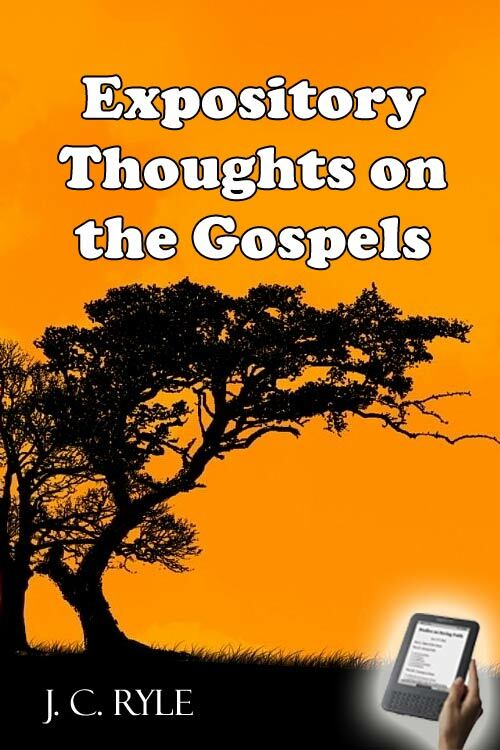 He writes so that his commentaries on the Gospels can be read aloud to a group. Unlike many authors he is equally good, read or heard. There are many other fuller commentaries on the Gospels, but no others make such compelling listening--whether it be in the family, in neighborhood groups, or over the air--as those of J.C. Ryle. In the first place, I indulge the hope that the work may be found suitable for use at family prayers. The supply of works adapted for this purpose has never yet been equal to the demand. In the next place, I cannot help hoping that the work may prove an aid to those who visit the sick and the poor. The number of persons who visit hospitals, sick-rooms, and cottages, with an earnest desire to do spiritual good, is now very great. There is reason to believe that proper books for reading on such occasions are much wanted. Last, but not least, I trust that the work may not be found unprofitable for private reading, as a companion to the Gospels. There are not a few whose callings and engagements make it impossible for them to read large commentaries and expositions of God's Word. I have thought that such may find it helpful to their memories to have a few leading points set before their minds in connection with what they read.